The Job Search Process empowers individuals to find and land a great job in less than 30 days. Whether the individual is a recent high school or college graduate conducting their first job search, a returning military vet or an underemployed or unemployed professional, The Job Search Process will empower the job seeker to systematically locate their next job opportunity. Learn how something as simple as asking for a position can have a profound effect on getting the career of your dreams. Harness the power of yourself with The Job Search Process by Todd Palmer. Todd Palmer talks about how millennials can create their own job opportunities by solving problems with technology. Learn all the best strategies to set yourself up for success in The Job Search Process. Todd Palmer on creating questions for your job interviews. Learn how 10 minutes of research into your prospective employer can make the difference between acceptance and rejection (and much more!) in The Job Search Process! 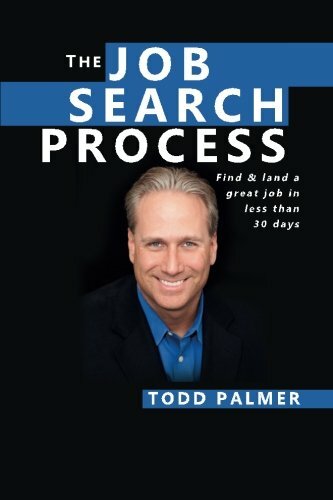 Todd Palmer on creating your own confidential job search process. Learn how to search for a new job under the radar and much more with The Job Search Process! What's going to set you apart from other job applicants? Learn how to position yourself for success with The Job Search Process! From my interview with Michigan Entrepreneur. The Job Search Process is geared towards the ambitious entrepreneur with a quick-start mindset. Learn more here! Excerpt from an interview with Michigan Entrepreneur on the origin and inspiration for my book The Job Search Process.